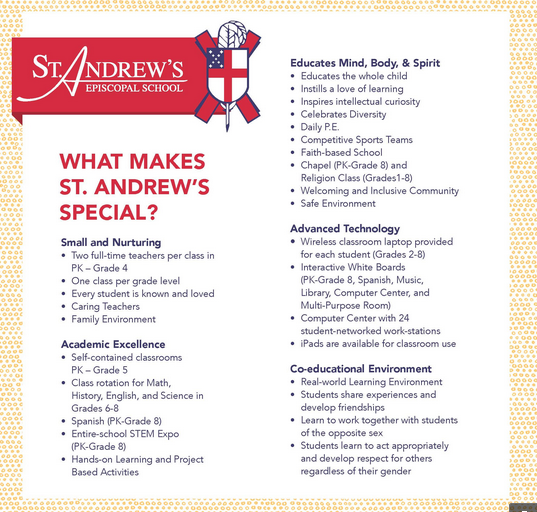 Purchasing Spirit Items is a great way to support St. Andrew’s School while demonstrating your Cardinal pride. St. Andrew’s is partnering with Land’s End to offer our community an array of fashionable and functional Spirit Items, including polo shirts, dresses, fleeces, caps, bags, and much more. To purchase Spirit Items, please visit the St. Andrew’s-Land’s End website.